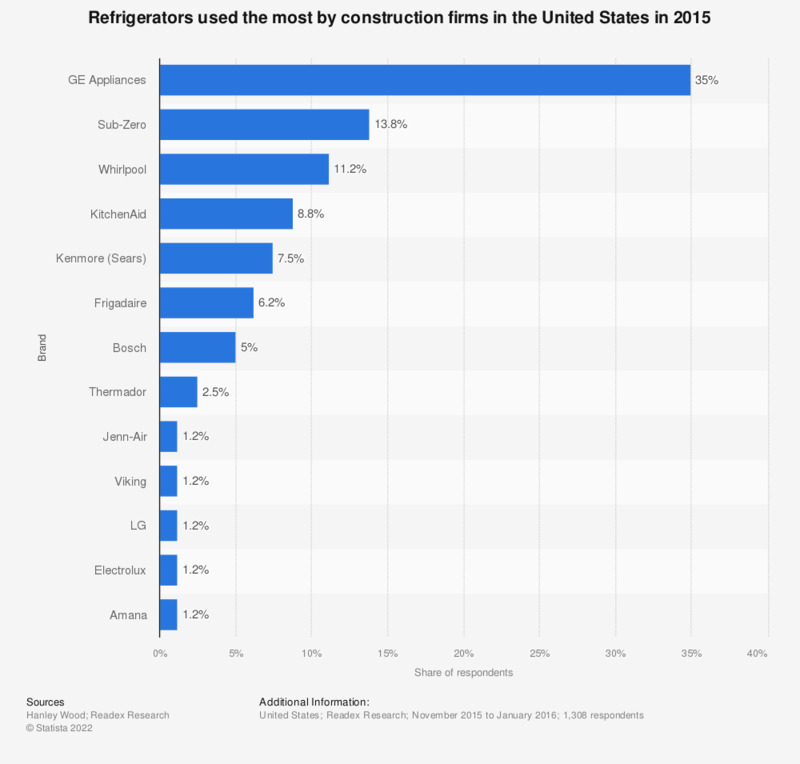 This statistic depicts refrigerators used the most by U.S. construction firms in 2015. The survey revealed that 35 percent of the respondents use GE Appliances brand refrigerators the most. A sample of 1,308 was selected from BUILDER’s domestic qualified “builder,” “builder/developer,” and “general contractor” print circulation, including those who receive the magazine as a benefit of NAHB membership. The detailed methodology may be found on page 9 of the report.